Street Address 2, Minchuan Rd. With a stay at MF Hotel Penghu in Magong, you'll be a 4-minute walk from Magong Harbor and 5 minutes by foot from Si Yan Jing. Featured amenities include complimentary newspapers in the lobby, multilingual staff, and luggage storage. A roundtrip airport shuttle is complimentary (available on request). With a stay at Starry Hotel in Hengchun, you'll be within a 15-minute drive of Kenting National Park and Kenting National Park. Free self parking is available onsite. With a stay at Full House Bed and Breakfast in Yuchi, you'll be within a 5-minute drive of Taiwan Adventist College and Ming Temple. Free self parking is available onsite. 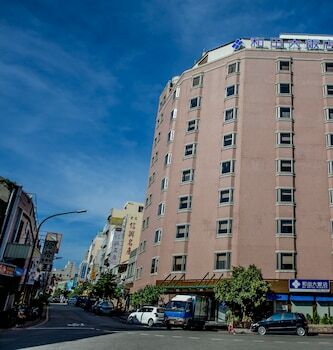 Located in Hualien (Hualien City Centre), Xianfeng B and B is minutes from Tianhuitang and Meilunshanshengtai Park.